Articles give current and concise information; they report news, opinion, and research. They can be popular or scholarly and can contain primary or secondary information. Publications containing articles include newspapers and magazines (also referred to as journals, periodicals, or serials). 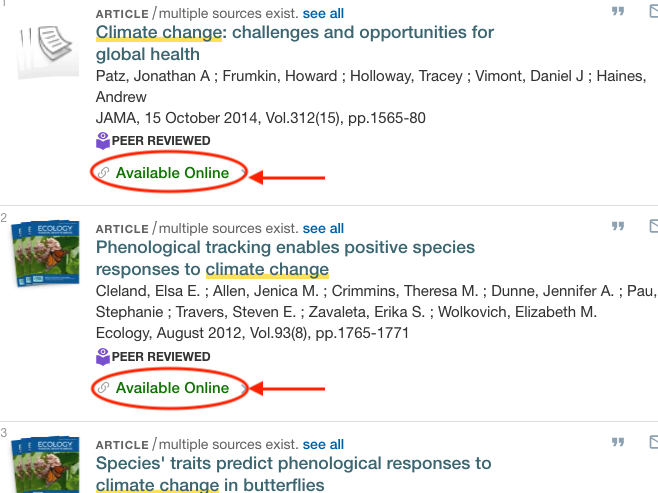 Use the Search box on the Library homepage to locate articles on any topic, most with full text. See the Library Search Guide for help and search tips. Once you've used Search to locate articles, your list will indicate which records have full text available. 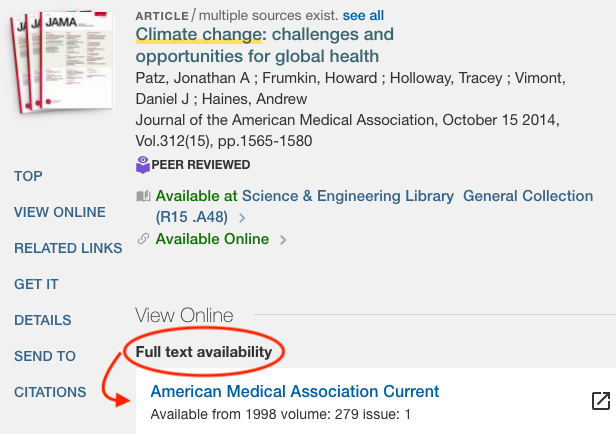 Database of articles in peer-reviewed journals, magazines, and news sources with full-text journal coverage for nearly all academic areas of study. Contains full text of journals starting with their earliest issues as well as some ebooks. Database covering many disciplines and sources: articles, theses, books, abstracts and court opinions, from academic publishers, professional societies, and online repositories. Use Eduroam (on campus), or the VPN (off-campus) to access full-text of UCSC subscribed content. Take the Academic Search Complete Tutorial!